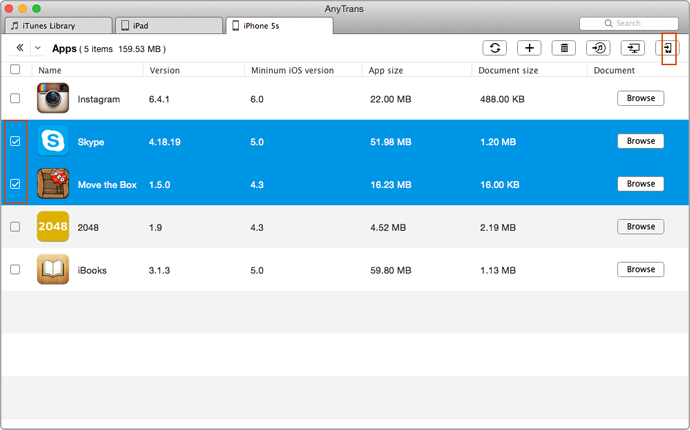 This article will share a new way to transfer App files from iphone onto ipad 4. One simple and professional tool you need is AnyTrans. I have iPhone with a bunch of Apps on it. Now I have got a new iPad 4 saved onto my computer with iTunes. I am trying to transfer App from iPhone to iPad 4, But I can't figure out how. I'm very frustrated that iTunes just doesn't support to transfer my own music from iPod back to computer. 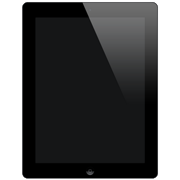 Just get a new iPad 4 and want to transfer App from iPhone to the new one? Apple iTunes gives a general solution for syncing iTunes library with iPad 4 but probably you still need a third party tool to transfer App from iPhone to iPad 4. 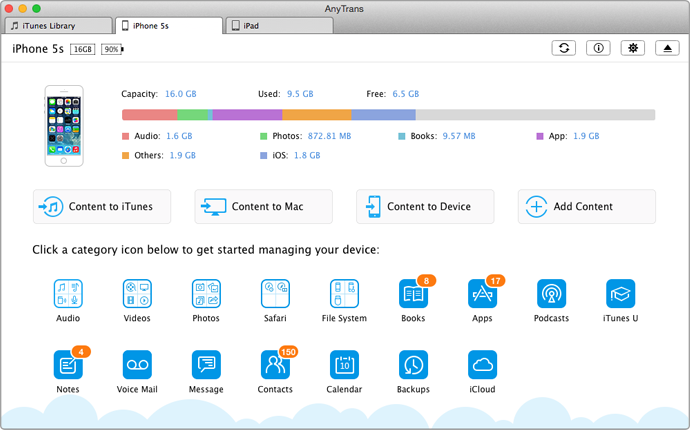 AnyTrans is a professional iPhone to iPad 4 transfer which can freely transfer videos, photos, ebooks music with fast speed. So if you are tired and sick of mazy iTunes settings, then probably you should use AnyTrans to manage iDevices because it will only transfer the wanted App files. The entire syncing process will be greatly shortened. On the homepage of AnyTrans, click on "Apps" button to enter the manage page. Highlight the App files you choosed and click To Device option (Shortcut: Right click the mouse and select To Device). Then you can leave it alone and AnyTrans will auto transfer App from iPhone to iPad 4.